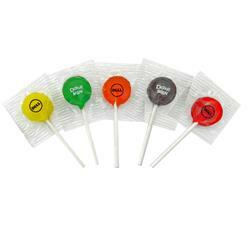 This wrapped Junior Ad Lollipop is the perfect promotional handout for your business! These lollipops come in varying shapes from oval to round and choose from a variety of assorted flavors including lime, orange, grape, cherry and lemon with blue raspberry. The Junior Ad Lollipop is Made in the U.S.A and is non-melting! 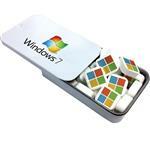 Call Adco Marketing today to customize with your logo for the perfect handout or for your next event!